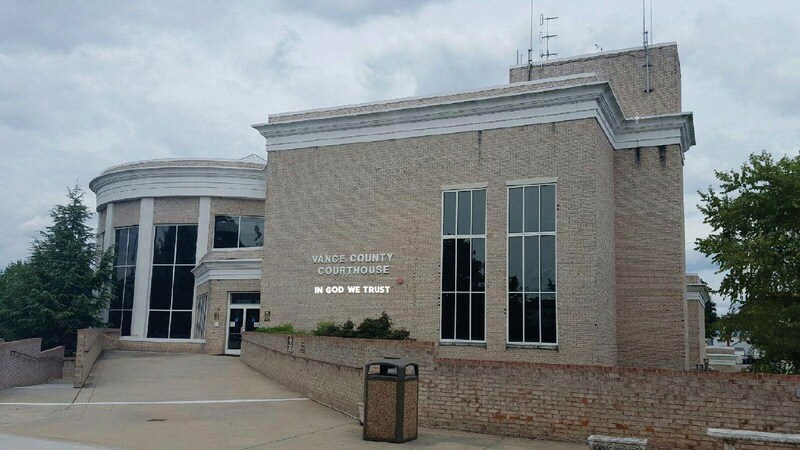 At the October 3rd, 2016 meeting, Vance County Board of Commissioners are expected to vote on an initiative from the U.S. Motto Action Committee, a group that actively encourages local elected officials across NC and our nation to display the National Motto. 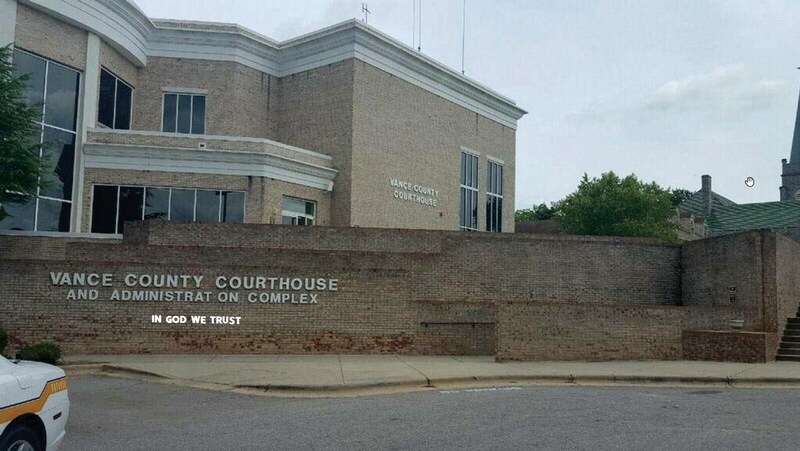 The group has successfully lobbied nearly 50 other counties in North Carolina to alter their building signage to include the wording “In God We Trust” to their public buildings. 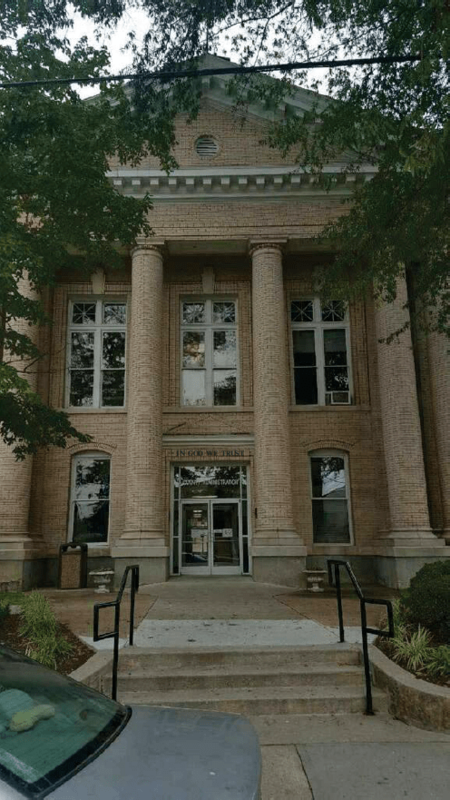 Pictures of their proposed modifications include the Vance County Court House and Administration Buildings.